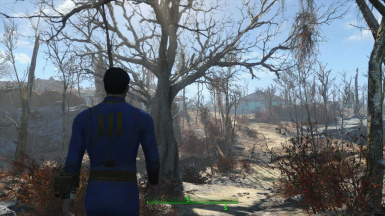 Removes all spoken dialogue and lines from the player character, making the dialogue experience closer to older Bethesda games. Silent Protagonist Voice Patches No point in using mine without this. 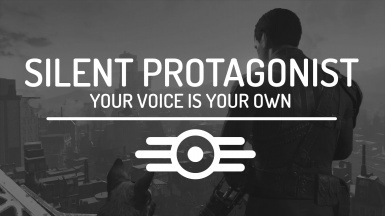 This mod removes the player voice from the game (for both male and female), making dialogue in Fallout 4 a more personal experience. 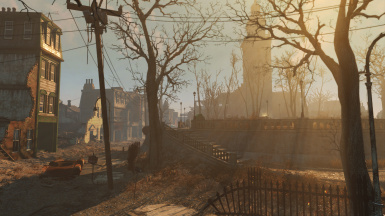 It brings the Fallout 4 experience closer to that of the usual Bethesda game, especially when used in conjunction with one of the recommended mods below. When you talk to any NPC, you won't hear anything come from the player character, only the response. There is no delay between clicking a response for the player and hearing the response coming from an NPC. This mod is based on VladiMatt's mod, which uses thousands of blank audio files to mute the player voice. However, this increased the length of loading screens and caused the game to hang when initially loading. The files also took a lot of space on a hard drive. I used Archive2 to create a reasonably compressed BA2 file, and a dummy ESP file to load the BSA file. I also generated the fuz files for the DLCs using the same technique as VladiMatt, meaning that this mod works with all DLCs as of November 2016. Install using Nexus Mod Manager, and ensure the ESP is activated in your load order. Load as late as possible to ensure voice is muted. Drop both files into the Data folder, and activate the ESP using Bethesda.net's load order tool. Load as late as possible to ensure voice is muted. Load this mod as late as possible to ensure voice files are replaced with the muted files. Version 1.5 of the mod is fully compatible with the vanilla intro sequence now!